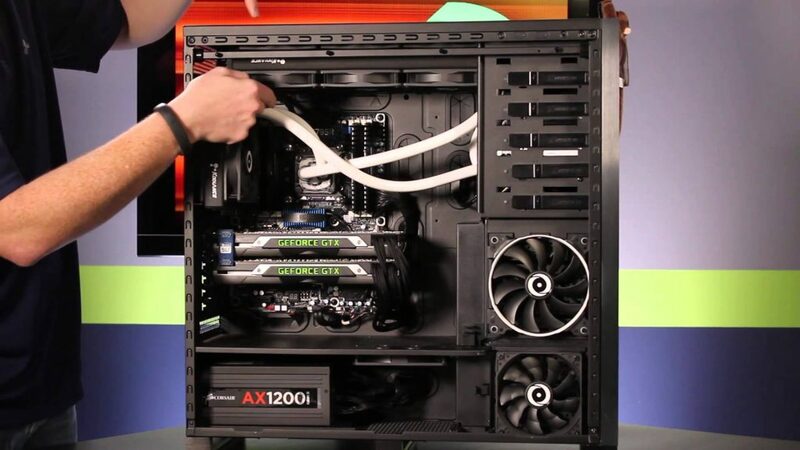 As some of you may know, you can boost the performance of your PC by overclocking it to make it run faster. These days, overclocking is very easy to do, but there was a time when it was not nearly as easy as it is today. When overclocking first was introduced, you had to know what you were doing, have good hardware, and have very good homemade cooling equipment – because anything but the stock cooling was either hard to get, or did not exist! 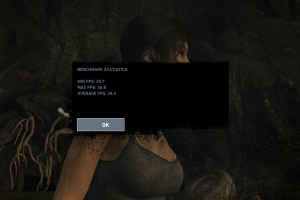 Now, overclocking is as easy as hitting buttons inside Windows (If you dare). You can even get away with some pretty decent overclocks without knowing too much about overclocking, which is a testament to how good software is at finding settings for you! For those who do know what they are doing, it means that overclocking is easier than it ever has been, and just as hard as before. Now, experienced overclockers can take cpus from 3.5 ghz all the way to 8 ghz or more, using Liquid Nitrogen, bios modding, and incredibly well-picked hardware. For these experienced overclockers, overclocking is no longer a mere hobby- it is a profession that rewards well. These days, competitions like the ones at IEM (Intel Extreme Masters), PAX Prime, and CES make overclocking a popular sport, not unlike how E-sports are evolving. At IEM 2014, there was over $20,000 in prize pools. This is making overclocking quite the profitable sport, if you can compete well enough! This is a history of over-clocking, from the origins in the 1980s, all the way up to the most ground-breaking new technologies that have just been released. The beginnings, in 1989 and 1990, with the i386 motherboards using jumpers to change the speeds of components. Right through to today, in 2015, with all-digital power delivery, overclocking directly through the UEFI BIOS and even inside the OS, and all the features a PC would need, the ASUS Rampage V Extreme. The very beginnings, 1985-1990, the first overclockable motherboards appear, starting out over-clocking as it is today. Up until this point, when you bought a PC, you got what you paid for. The PC was as fast as it was going to be out of the box, and the only thing you could do is maybe upgrade it with better components, like more RAM, a better CPU, better hard drives, or better graphics. You were not able to change the speed of the components very much, if at all. Then Asus and other companies begin to add the ability to over-clock the CPU through jumpers on the motherboard changing them will increase the speed, voltage, and multiplier of the CPU to make it faster. This signals the start of over-clocking in 1989 and 1990. 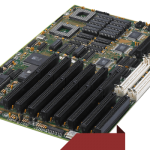 These motherboards had very limited over-clocking functionality, allowing you to choose between a few speeds and usually 2-4 voltage settings. This was not much, but at the time it was revolutionary to be able to change the speeds of your CPU, let alone over-clock it. 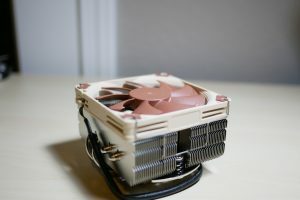 The ability to make your PC over-clocked did not really catch on until later though, as most people only had the stock coolers and did not want to over heat the components. It was not until later that after-market cooling became readily available, and people had very little knowledge of over-clocking at the time as well, so over-clocking was not very widespread. 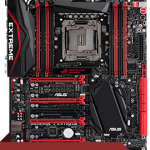 2014: Modern PC Motherboard – ASUS Rampage V Extreme. This Asus i386 motherboard was one of the first to support jumpers to change CPU speed and voltages. Stay tuned for the second part in the feature coming soon! Nik is a competitive overclocker at Hwbot.org. He has been messing with PC's since age 12. Currently living in Minnesota, USA. He loves all technology and loves teaching others how to use it. Whether that is overclocking, getting the most bang for your buck, or solving isssues. It wasn’t just the motherboard and cooling that prevented us overclocking, it was the processor too. To allow the multiplier to be changed on the old AMD Duron CPUs, the actual cpu had to be modified, by creating a conductive bridge across 2 contact points on the top of the CPU using a conductive silver paint.